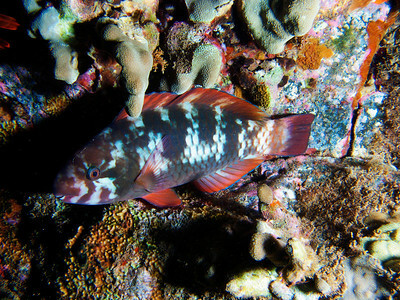 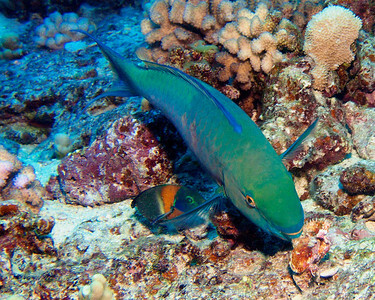 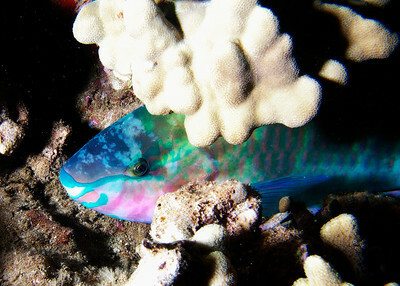 An initial-phase Spectacled parrotfish (Chlorurus perspicillatus), sound asleep on the reef. 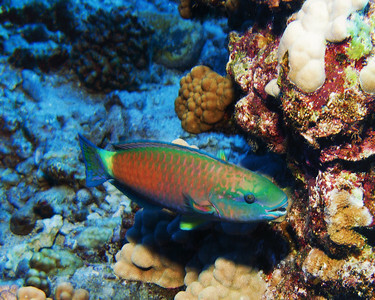 Some parrotfish spin cocoons around themselves at night, probably to hide their scent, but C. perspicillatus tends to just bed down. 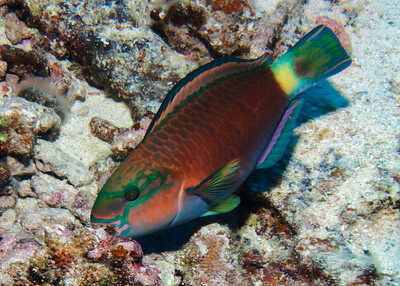 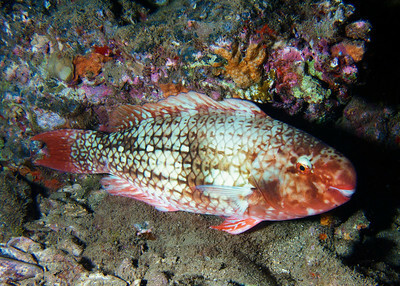 These beautiful fish are now rare in the main Hawaiian islands, but with at least a few areas where they're protected from spearing and fishing, I'm hoping they make a comeback. 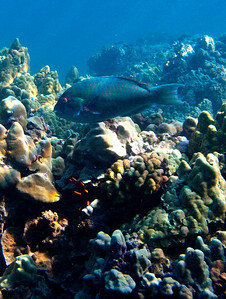 A sleeping terminal male Redlip parrotfish (Scarus rubroviolaceus)--and a rather large specimen at that. 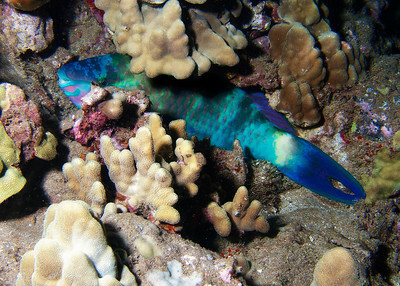 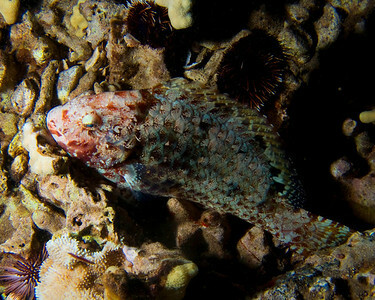 A very large female Redlip parrotfish (Scarus rubroviolaceus), sound asleep--I'm very encouraged by the increasing numbers of parrotfish and surgeonfish I've been seeing on my South Maui dives...I'm not certain, but I believe the recently established Herbivore Fisheries Management Area is having an effect.